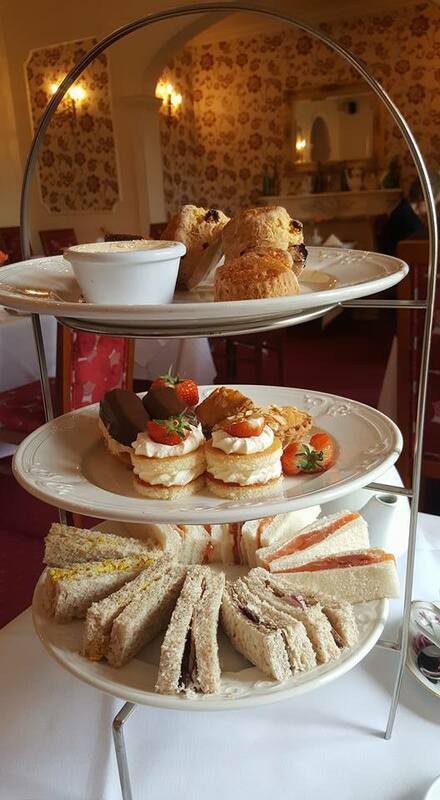 Bagden Hall is a beautiful Victorian country house, now hotel, near Scissett, which offers a popular afternoon tea for two. Perfect for a romantic afternoon out, or a bit of pampering, the experience is a real slice of affordable luxury. Tea is served from 2pm to 5pm daily, and although it is recommended that diners book in advance, it wasn't overcrowded when we went. It probably would be around Valentine's day or Mothers' Day, though. The Deluxe Afternoon Tea includes unlimited refills of the tea or coffee of your choice from an extensive list, as well as two fillings of crustless sandwiches of your choice, a selection of delicate little cakes, and of course scones with clotted cream and jam, as well as friendly and attentive waitress service. If you want a little more decadence, the Champagne Afternoon Tea includes all of the above, as well as a glass of bubbly, and fresh strawberries with a chocolate sauce. Although at £17.50 per person for the Deluxe, or £25 per person for the Champagne, this is not a cheap day out, it is worth checking for deals via sites such as Red Letter Days, which can bring the cost down significantly. Despite first impressions that the amount of food seems a little limited, we found that we were quite full afterwards, and everything was delicious. Gluten intolerance can be catered for, but they ask that you inform them in advance of any dietary requirements. All in all, this was a lovely afternoon out in a beautiful setting, with great food. What more could you ask for?